One thing that is somewhat forgotten in the electro-pop genre by a lot of groups is the ability to write a hook. This is a reason why 80’s New Wave bands were so successful and abundant, they knew how to grab the listeners attention. 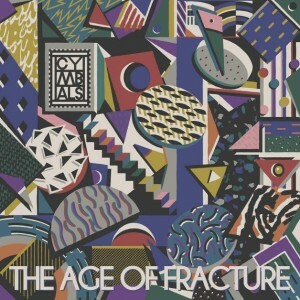 The London quartet Cymbals not only excels at this but dominates the sound-scape on their sophomore album, The Age of Fracture. Whether it be an insanely catchy synth lead (“Winter 98′”) a sweet guitar hook (“Erosion”), or an alluring vocal line (“You Are”), Cymbals manages to captivate a listeners attention for the full length of the album. It does get a little cluttered in some areas like “5%”, but overall The Age of Fracture has an abundance of pop principles that helps them stand head and shoulders above their contemporaries.